Edgar Leroy Potts was born on August 23, 1893, the son of George E. and Anna C. Potts in Philadelphia. He obtained his education at Philadelphia's Central High School and Princeton University, where he majored in English and history, and graduated in 1916. Following his graduation, he entered law school at the University of Pennsylvania. At the start of World War I, he offered his services to the war effort, but "due to physical difficulties was rejected" (Princeton Alumni Weekly). Instead, he worked at a training camp at the YMCA until the war was over; at which point he returned to the University of Pennsylvania School of Law, graduating in 1920. He also earned his doctorate from the University of Pennsylvania, probably in 1932. 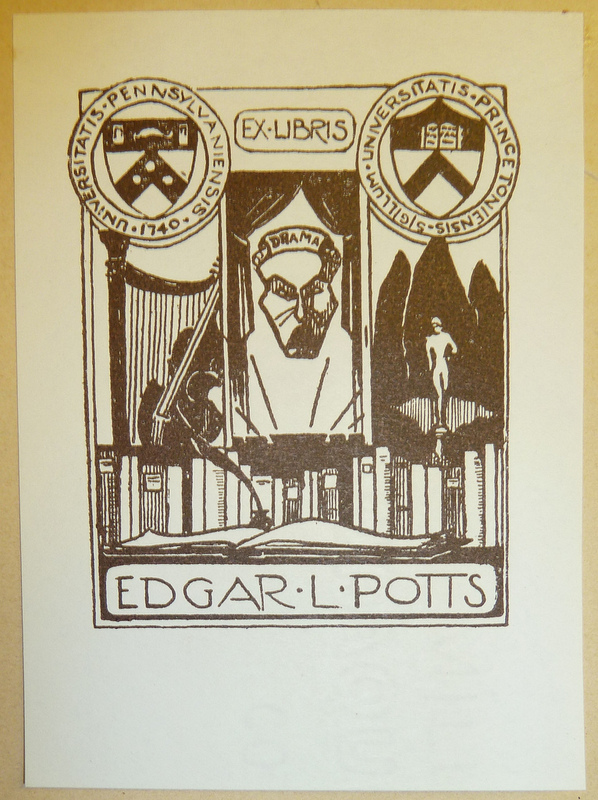 Potts never practiced law, but served as an instructor in the English Department of the University of Pennsylvania from 1925 to 1938, when he was appointed as an assistant professor. The Princeton Alumni Weekly stated that he had a "wide range of interests in literature, music, [and] the theater." He died on March 12, 1970. Robert Baird Shuman "Social Concepts in the Stage Plays of Clifford Odets"
James Joseph Napier "Joseph Hergesheimer: A Critical Study "
Earle Talbot Crooker "The American Musical Play"
Claude E. Dierolf "The Pageant Drama and American Pageantry"